What kind of foam can be recycled in Waste to Waves? 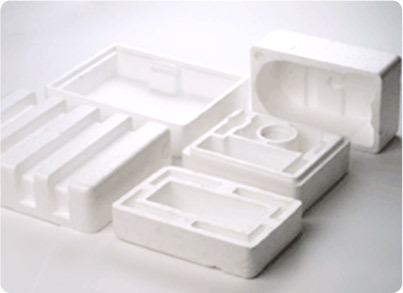 The Waste to Waves program can only accept clean, white, Expanded Polystyrene foam (EPS) used in packaging. EPS is more commonly known in the USA as “styrofoam”, and although they are typically used interchangeably to mean the same thing by the general public - Styrofoam® – is actually a trademarked product of the Dow Chemical Corp. and is chemically a completely different product than Expanded Polystyrene foam. Polystyrene is marked with the symbol #6. EPS is used in packaging to protect fragile equipment such as televisions, computers, and furniture. It is also used as insulation, some food containers like cups, and of course, as surfboard blanks. EPS foam is hard, rigid, and very light since it is 95% air. It is always white in color. What kind of foam cannot be recycled in Waste to Waves? EPS foam containers from food service. We cannot take the risk of any food contamination at all for recycling purposes. No packing “peanuts”. Take these to any UPS or FedEx/Kinkos store, because they will re-use them. No foam that is flexible, soft, colored, or rubbery. This isn’t EPS foam, and it will contaminate the EPS load for recycling purposes. No old surfboards. Give these to Rerip instead to be re-used, or re-purposed. How can the collected foam be recycled, and then turned into a surboard blank? There are two methods that can be used to let our partner Marko Foam turn recycled EPS into new surfboard blanks. The first method simply consists of grinding the EPS foam into small particles, which can then be blended in with a mix of virgin EPS foam as it goes into the blank mold and is expanded. The second method consists of densifing or compacting the foam into hard plastic lumps, which can then be shipped off to be re-manufactured into new, recycled polystyrene beads. Marko Foam can then simply purchase recycled polystyrene beads to make their recycled EPS blanks, via their normal process. The method(s) used by Waste to Waves to make new recycled EPS blanks will depend on the overall volume and nature of foam collected. This will be determined after the pilot phase of the program concludes after January 2012. How well do recycled EPS blanks work for surfing and shaping? They work extremely well. As a minimum, they ride exactly the same as any other EPS blank. Shaping is not always as smooth as virgin EPS, but any skilled shaper with sharp tools will have no problem doing the job. What are the environmental benefits of using recycled EPS foam? Reduction in plastic trash going into landfills. Most municipal recycling programs will not accept EPS, so the only practical choice for people is to throw it away (or store it in the garage indefinitely). Reduction in plastic trash that can enter the ocean. Over a 50% reduction in lifecycle carbon dioxide emissions (for a 100% recycled blank). 70% of the impact from EPS foam comes from the raw materials themselves, so using a recycled material is the best way to reduce impact. The relative impact of transportation for recycled foam is negligible in comparison.